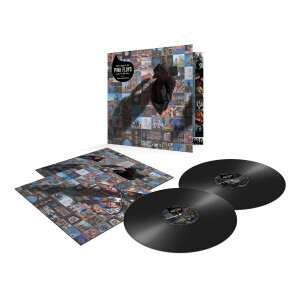 • Available on vinyl for the first time, the career-spanning compilation features some of the best-known album tracks from across Pink Floyd’s career, 1967 – 1994, as well as the UK Top 10 single ‘See Emily Play’. 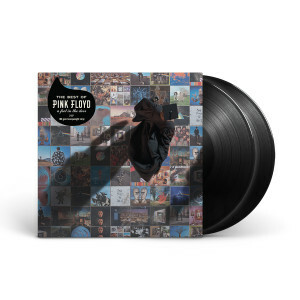 • Newly mastered for vinyl in 2018 by longstanding Pink Floyd associate James Guthrie, with Joel Plante, and with lacquers cut by Bernie Grundman of Grundman Mastering in Los Angeles, California, the 2-LP version features at least one difference from the CD version. ‘Time’ is slightly longer, with the ringing alarm clocks at the start of the track reinstated. • The original artwork, art directed by the late Storm Thorgerson, has been amended by Pink Floyd Creative Director Aubrey Powell of Hipgnosis with Peter Curzon, to include alternate versions of the photographs used in the CD version. The album package comes in a gatefold outer sleeve, with two separate printed inner bags, and is pressed on heavyweight 180 gram vinyl. These were a gift for my son. They were shipped quickly with no damage and my son loves them. Excellent service, fast shipping and wonderful music!! Will definitely order again!